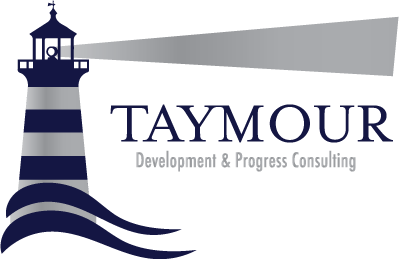 NLP « Taymour Consulting Ltd.
By definition, a belief is a principle accepted as true without proof. A beliefs is a thought or idea that we do not question – most of the time we are not even aware of them either. Our beliefs are the most powerful force that govern our attitudes, outlook and actions. They are nurtured and formed by our culture, religion, upbringing, society, teachers as well as every influencing factor in our surrounding environment. The media, our boss, family and social phrases such as “ Mondays are always horrible” tend to have a far more influencing effect than we’d like to admit. After all our unconscious mind is just like a 3 year old child that does not negate. It accepts everything it hears. In fact for the next 5 seconds think of anything other than a white tiger. Chances are you already thought of a white tiger. For our mind to identify what not to do, it must first process what that “it” exactly is. Are YOU Worth It ? One of the most powerful underlying forces that determine the quality of our lives is self worth. Self worth is literally the value or worth that we as individuals place on ourselves. Over the years I have helped countless clients who on the surface seem to lack the comforts needed to be happy. However, a slight scratch of that very surface reveals that the real problem is low self worth and ultimately an avid dislike of themselves. Low self worth is why some women stay in abusive relationships, low self-worth is why some corporate executives never aim to get the promotion they so desire and low self worth is why some people self-sabotage whenever a good thing happens to them. It’s Not How Good You Are, It’s How Good You Want To BeThe best way to describe Paul Arden is a creative genius who’s common sense is quite uncommon. He’s the creative mind behind: ‘The car in front is a Toyota’ and ‘The Independent – it is. Are You ?’. Having been in advertising for over 18 years, he’s finally decided to share his way of thinking with the world. What’s a phobia? How do they come about? Is there any hope of getting rid of them ? Read more in my November newsletter. Dr. Barron discusses and elaborates on Love Pain and how Thought Field Therapy has successfully helped his patients. “Until the advent of Thought Field Therapy (TFT) there was no effective treatment for love pain and sufferers simply had to grin and bear it. However TFT can relieve symptoms in minutes. In some cases only a single treatment is required….” Read more. Would You Pass The Coffee Jar Test? “A wonderful visual trick I have used in a few of my talks and seminars is the “coffee jar test” – have you heard of it? I start by emptying all the coffee granules out of the jar. Then I fill the jar with “rocks” by which I mean decent sized stones, right up to the top.” Read more about Amanda’s tips on how to turn your time into quality time.